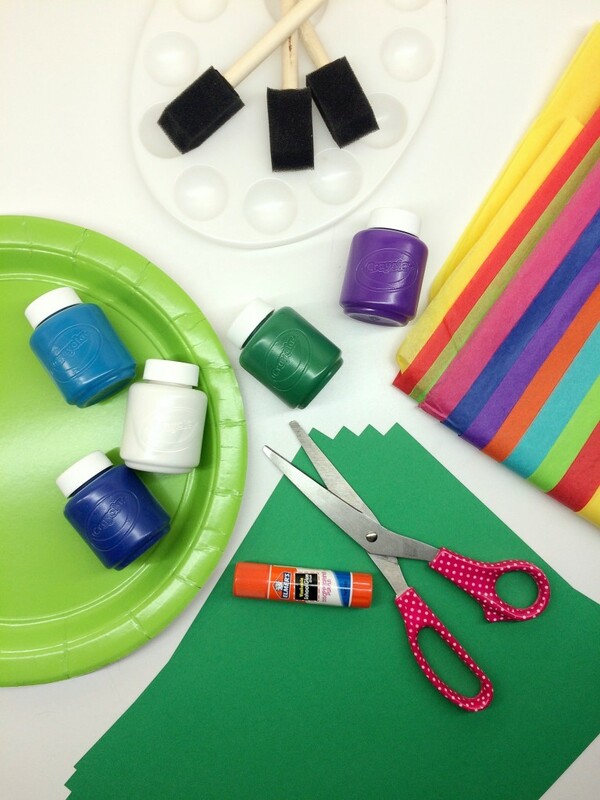 This week, TLB Music‘s mini camp theme is Little Artists! 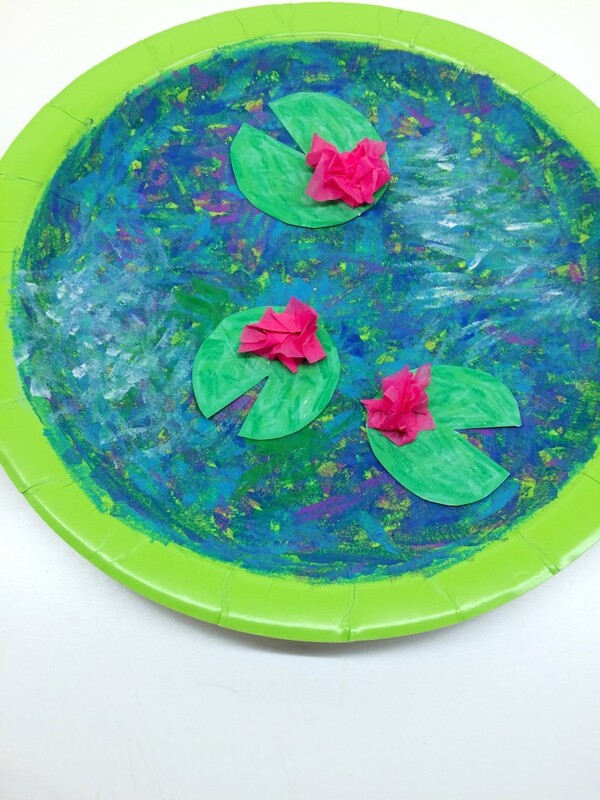 One of our campers craft activities is creating a water lily pond using Monet’s famous series Water Lilies as inspiration. Claude Monet was an impressionist painter from Paris, France. Impressionism is a 19th century art movement. (ask kids to try to say “Impressionism”) This movement was actually named after one of Monet’s paintings, Impression, Sunrise! Small, thin brushstrokes are one of the main characteristics of these paintings. 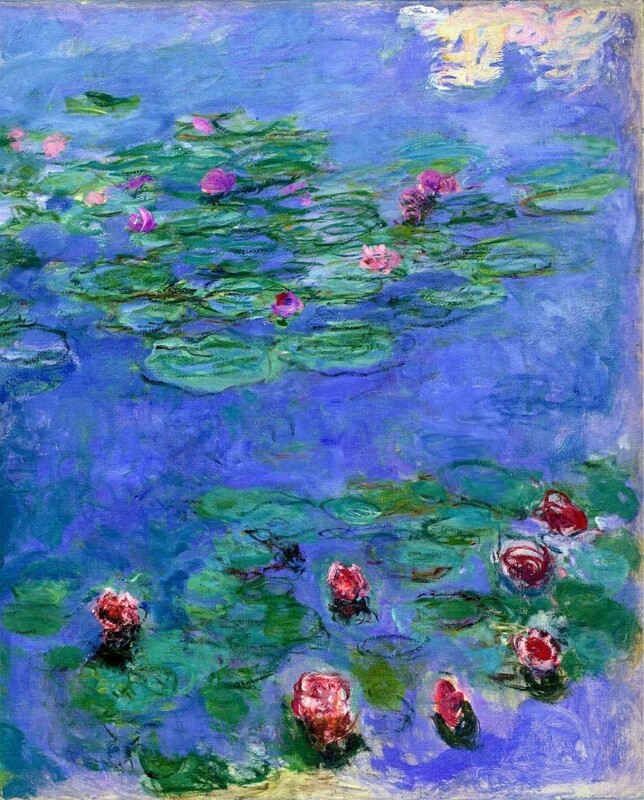 Look at Monet’s works of art. What do kids see? 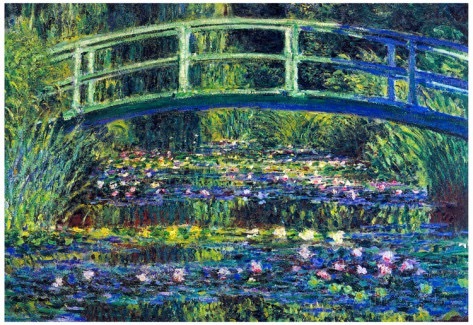 Monet’s most famous series of paintings is Water Lilies, which depicts Monet’s garden in France. There are approximately 250 paintings in this series! 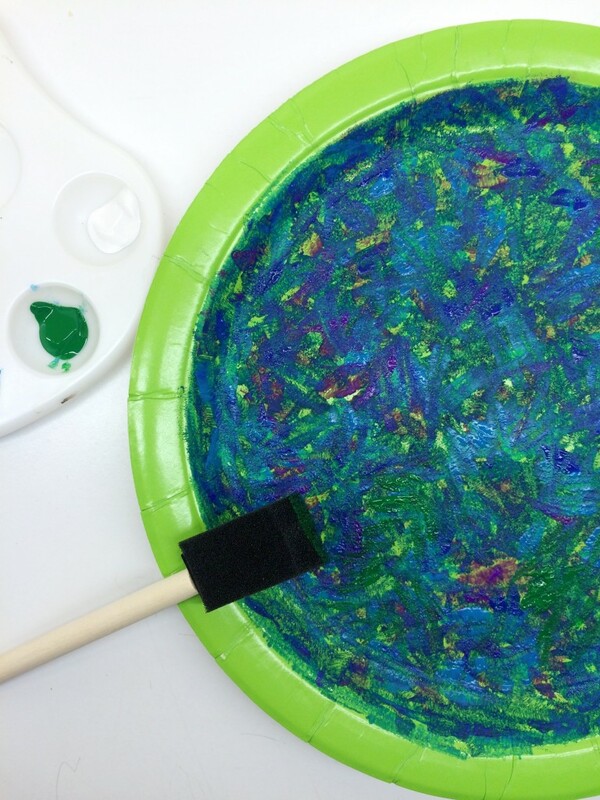 Today, we’re going to create our own water lily ponds using the technique of Impressionist painters. Pass out paper plates and one brush per child. Let’s start by painting small, thin brushstrokes in purple. 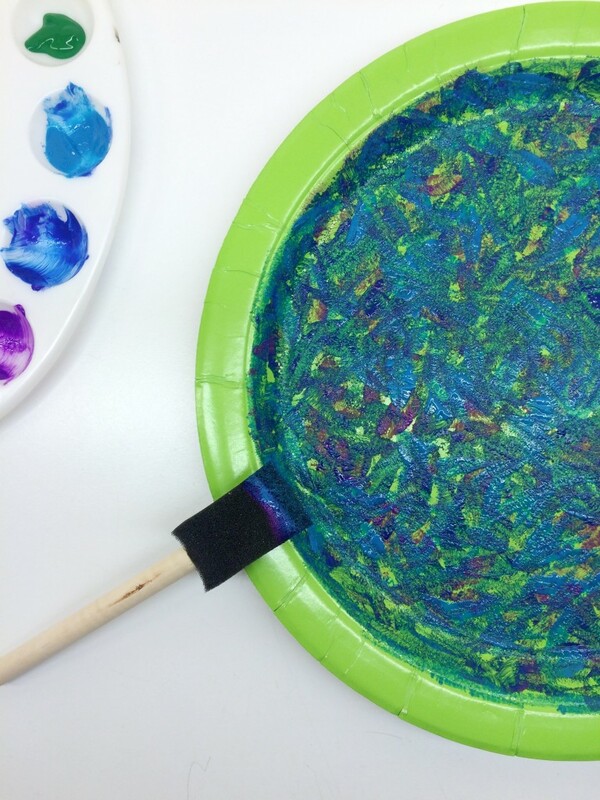 Leave the rim paint-free so kids can handle while painting! 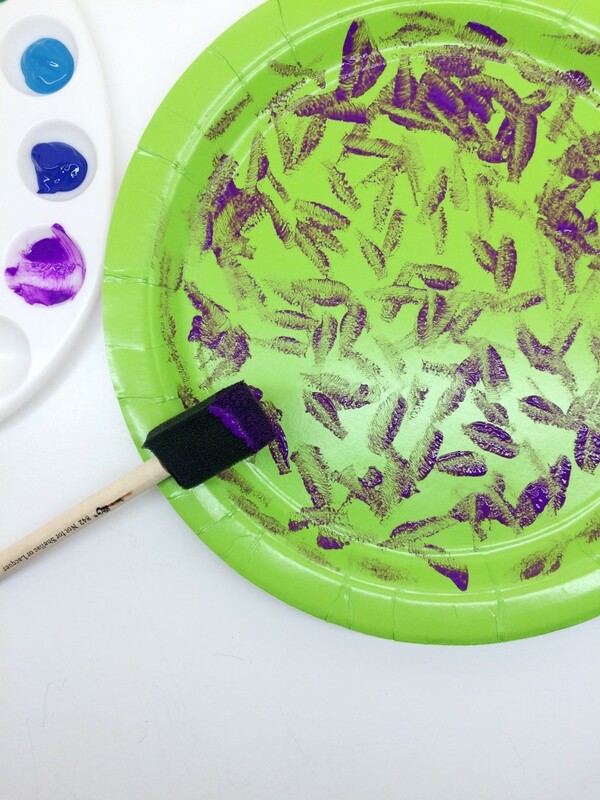 Step 1 (purple paint): Using bouncing motion, paint small thin brushstrokes in purple. Now, repeat the same painting technique in dark blue. Step 2 (dark blue paint): Using bouncing motion, paint small thin brushstrokes in dark blue. Next, paint with light blue! 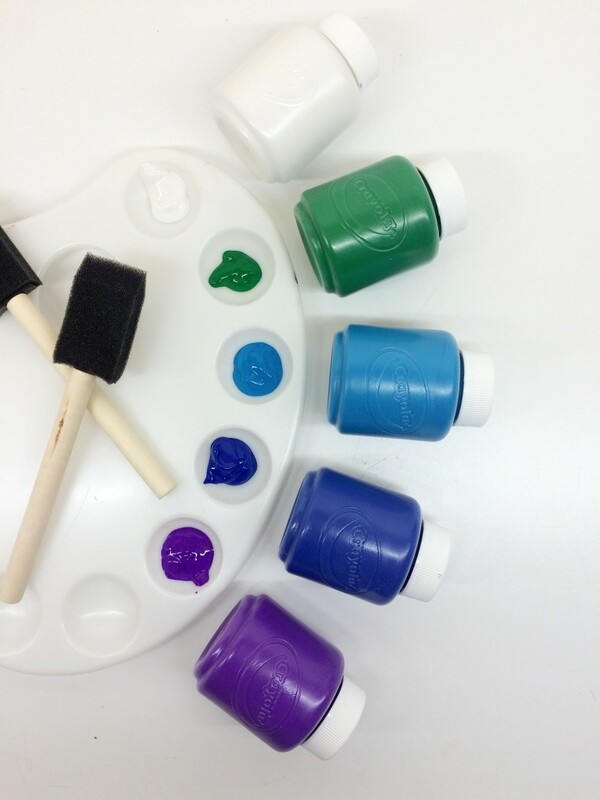 Try to fill in the empty spaces on the plate while you paint. Step 3 (light blue paint): Using bouncing motion, paint small thin brushstrokes, filling in with light blue. Now, let’s create the reflection of a few trees in the water. 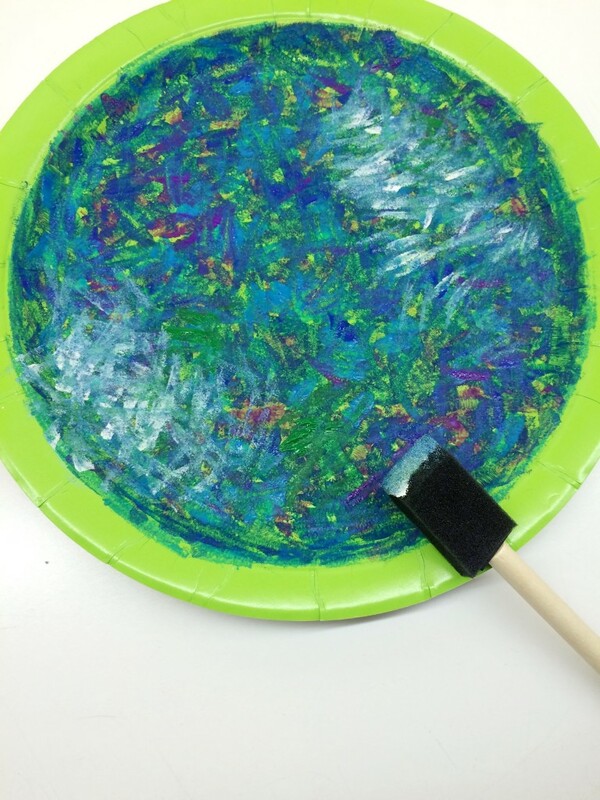 Step 4 (green paint): Using bouncing motion, create a few spots of green in the water. Now, let’s add a few spots of white to create reflecting light! Step 5 (white paint): Using bouncing motion, create a few spots of white in the water. Next, we each need 3 lily pads each. Pass out 3 lily pads per child. 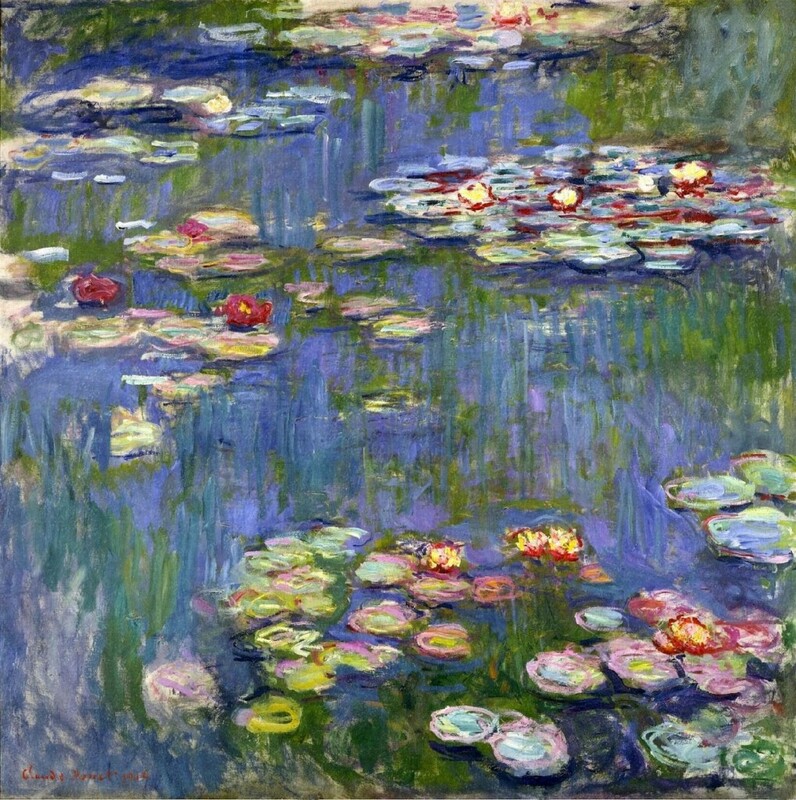 (count 1, 2, 3 for each) Ask kids, what color are the lily pads? 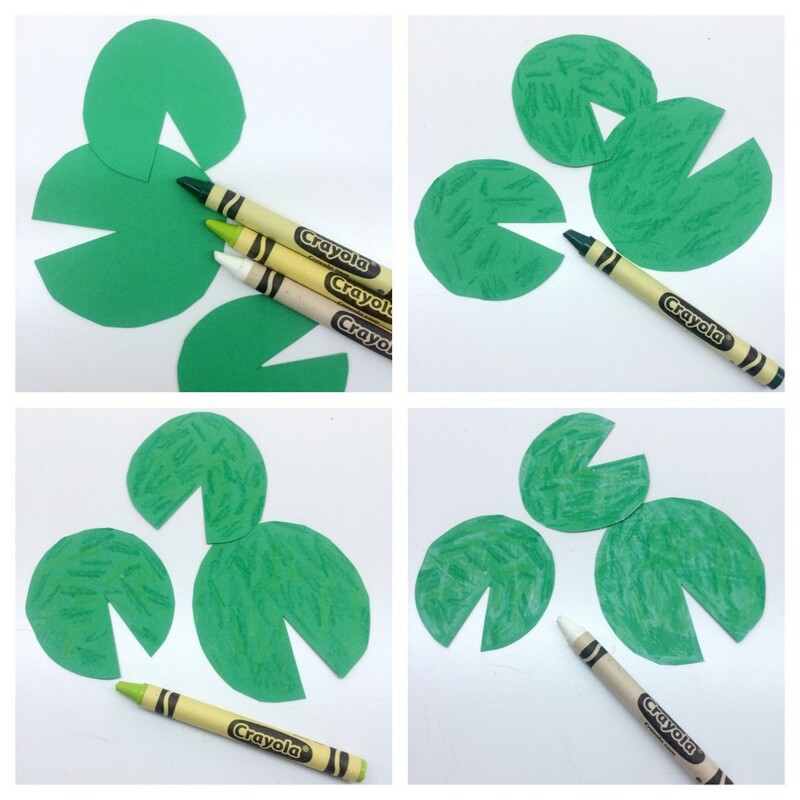 Let’s use green, light green and white crayons to create texture on each lily pad. 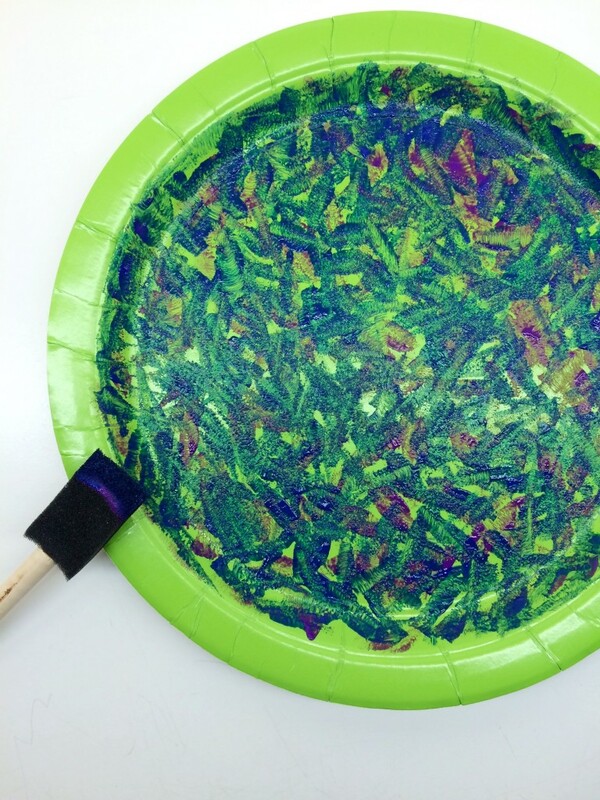 Step 6 (crayons on lily pads): Color small spots in green, light green and white (similar to painting technique) on each lily pad! Now we need to create the flowers! Hold up a square of tissue paper. Ask kids to identify the shape and color. For each flower, we need 2 square of tissue paper. So…we need 6 squares each! Count 1-6 as you pass out. 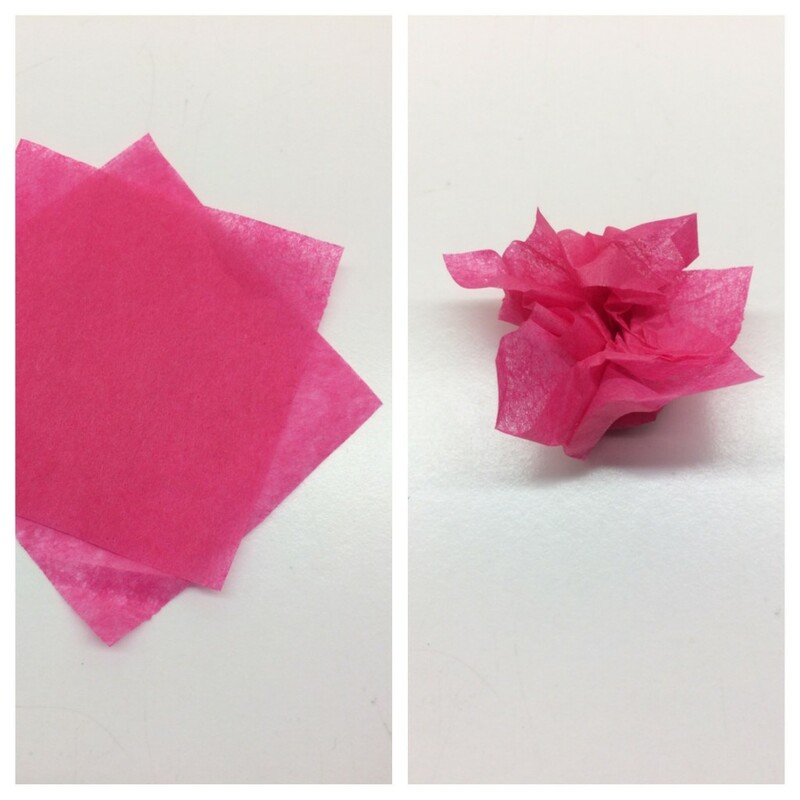 Step 7 (tissue flowers): Place one square on top of another and pinch from center, wrinkling sides to make “petals”. Create 3 water lilies. 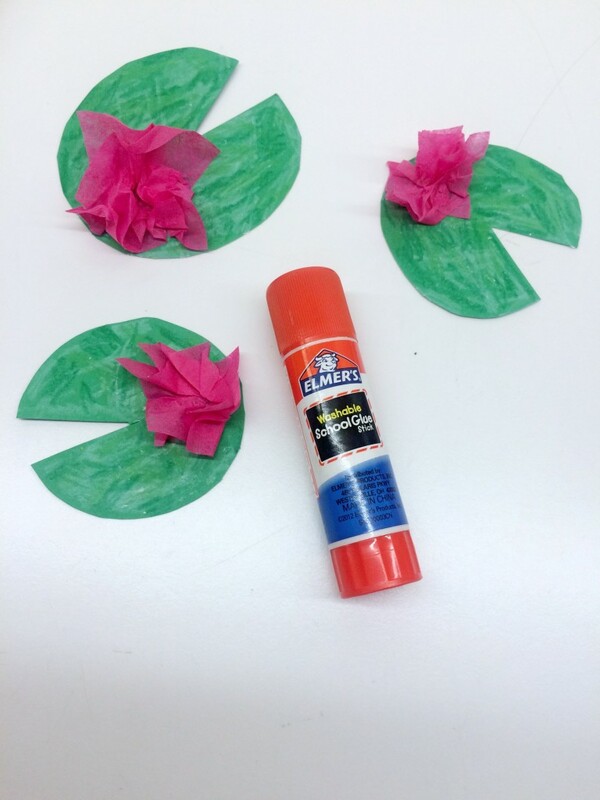 Pass out glue sticks and glue flowers to lily pads! Step 8 (flowers on lily pads): Glue one flower on each lily pad. Last step- time to glue the lily pads on the water! Step 9 (lily pads on water): Glue lily pads in the water.